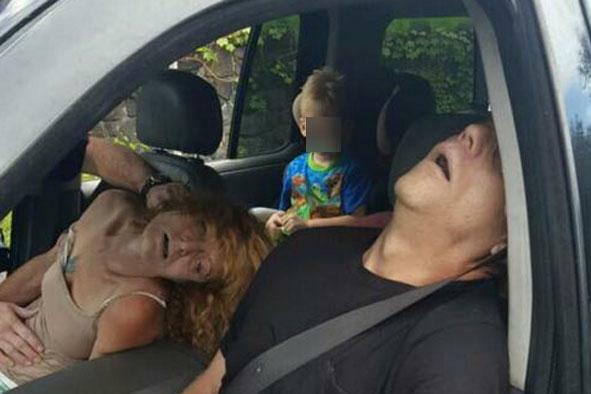 Police in the U.S. have released graphic images of a couple overdosing on heroin while a four-year-old boy sits in the car seat behind them. 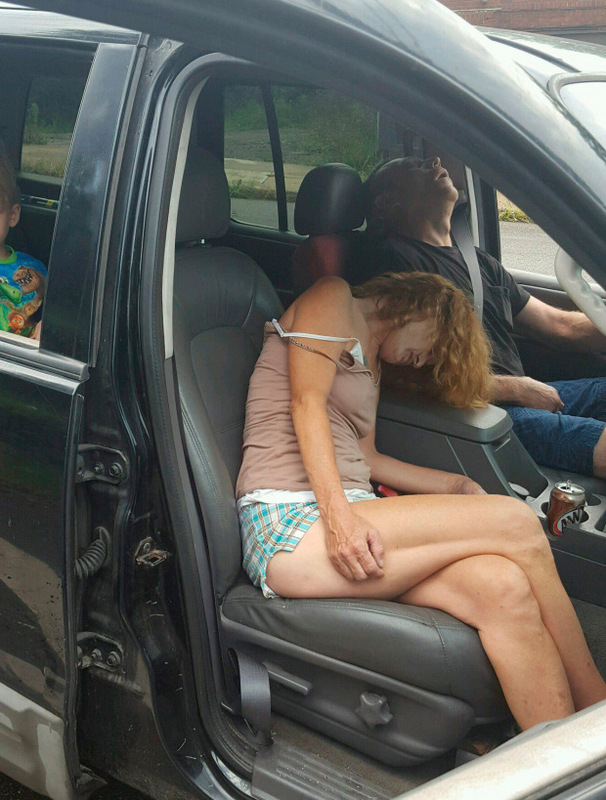 Fifty-year-old Rhonda Pasek and James Acord, 47, have been charged with endangering a child after they fell unconscious during a traffic stop in East Liverpool, Ohio, reports the BBC. The couple were detained after officer Kevin Thompson spotted their car being driven erratically. He said Acord’s speech was almost unintelligible, he had ‘pin point pupils,’ and his head was ‘bobbing back and forth’. The pair then fell unconscious and Thompson was forced to call paramedics who administered anti-overdose medication. They were taken to hospital and appeared in court a day later where Acord was sentenced to 180 days in prison after pleading no contest to charges of driving under the influence and endangering children. Pasek pleaded not guilty to charges of endangering children and disorderly conduct. 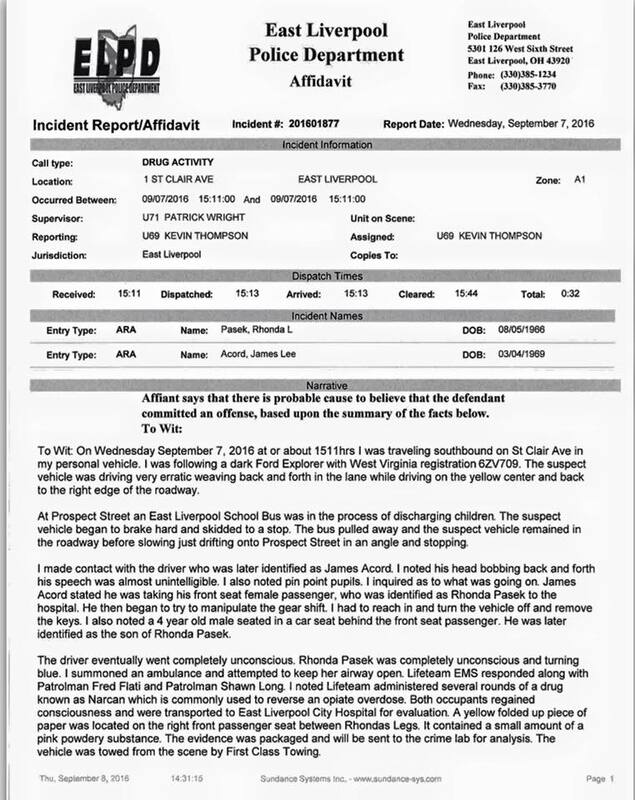 The boy in the picture is Pasek’s four-year-old son who has now been taken into custody by children’s services. We feel it necessary to show the other side of this horrible drug. We feel we need to be a voice for the children caught up in this horrible mess. This child can’t speak for himself but we are hopeful his story can convince another user to think twice about injecting this poison while having a child in their custody. It is time that the non drug using public sees what we are now dealing with on a daily basis. If you or someone you know is suffering with drug addiction you can visit www.addictionhelper.com or call 0800 024 1488.